30 years ago, on September 28, 1988, the first Soviet long-range wide-body airplane IL-96-300 took off from the Central airfield after Frunze on the Khodynkoye Polye. The airplane was run by a crew under the command of Honored Test Pilot, Hero of the Soviet Union Stanislav Bliznyuk. 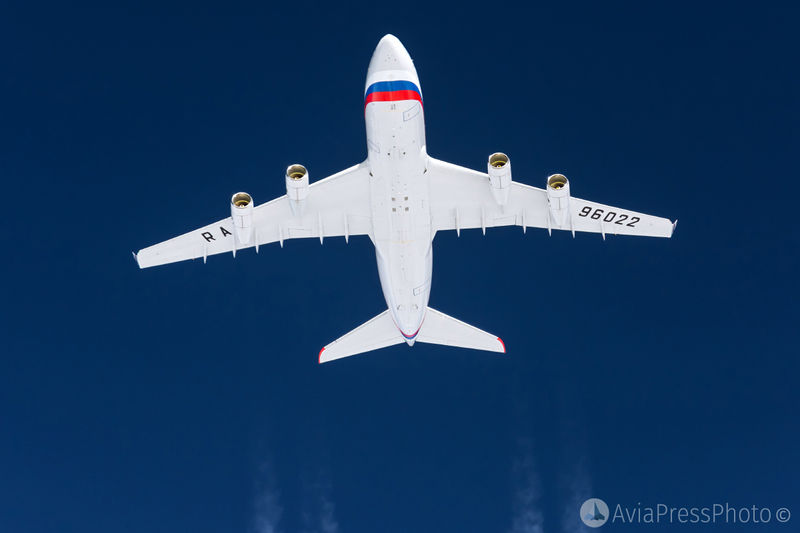 A 40-minute flight passed directly over the central districts of Moscow. 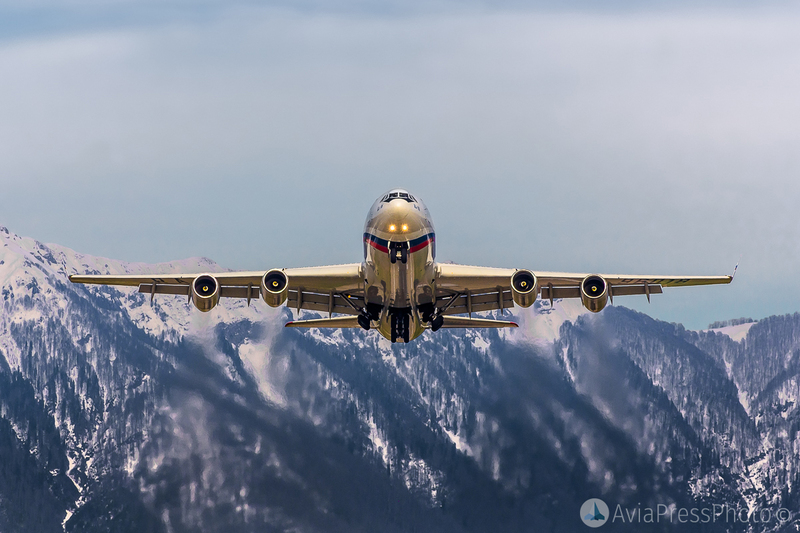 During the tests, the IL-96 performed several notable long-range flights , including Moscow-Petropavlovsk-Kamchatsky-Moscow without landing in Petropavlovsk. 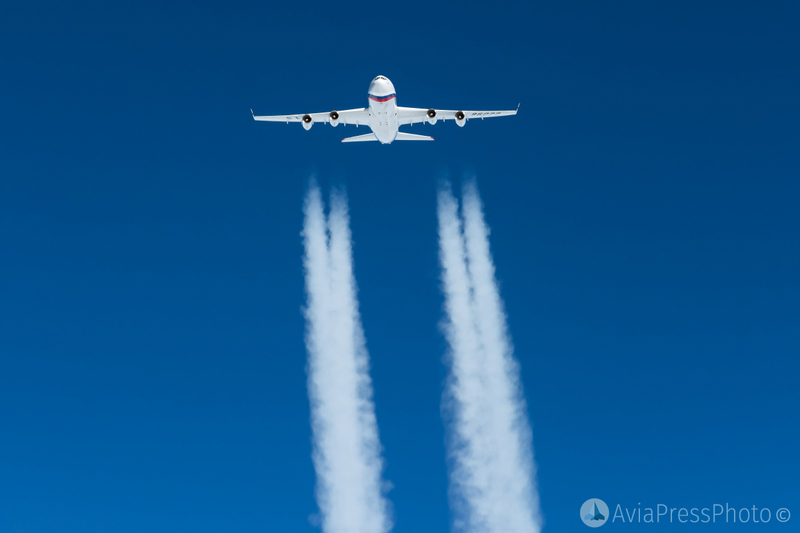 The aircraft overcame 14,800 km of the way in 18 hours 9 minutes. On June 9, 1992 IL-96 flew from Moscow to Portland across the North Pole, after spending 15 hours in the air. 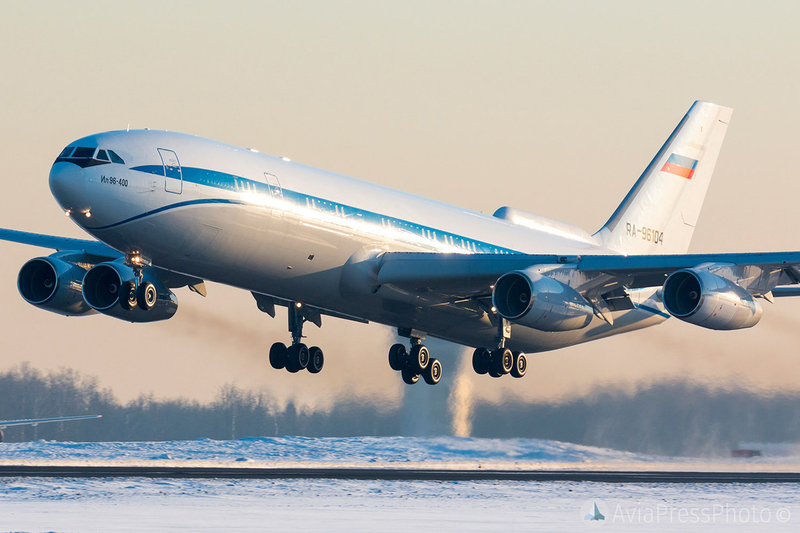 Serial production of IL-96-300 was deployed at the Voronezh Aviation Plant, from where the first liner was launched in 1992. 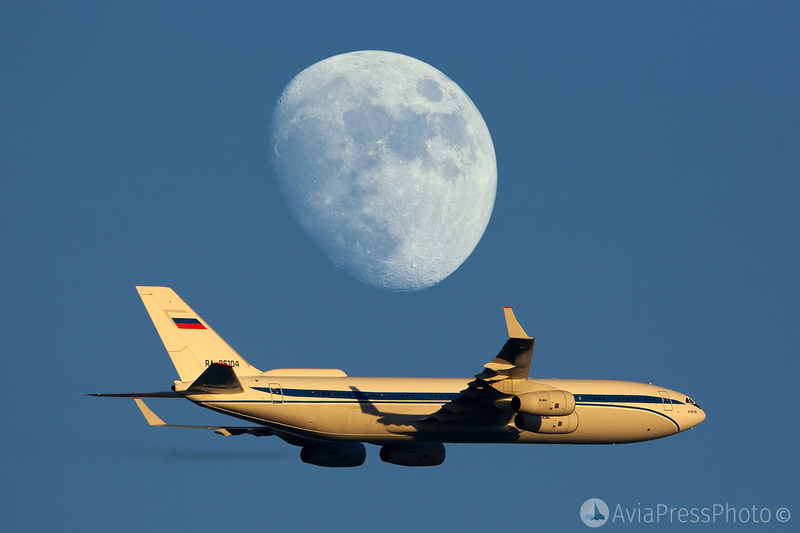 Commercial operation of the aircraft began on July 14, 1993 on the flight Moscow – New York. 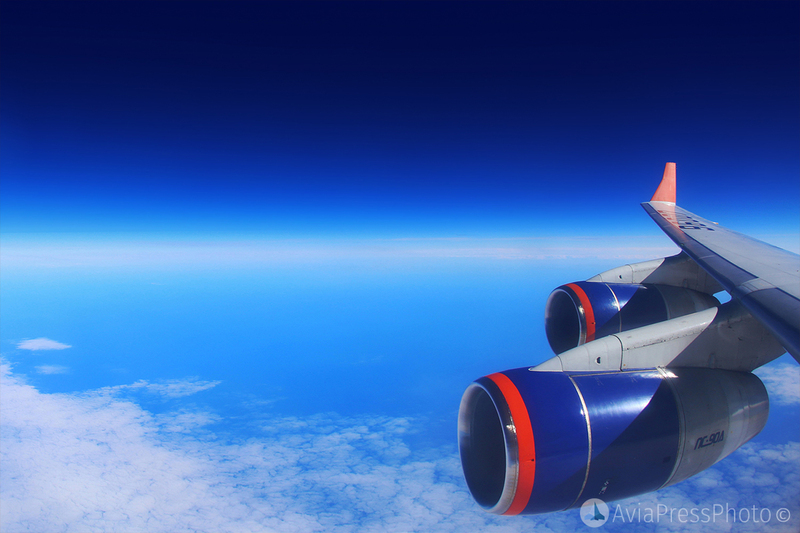 At first, the new flagship of Aeroflot was operated mainly on international routes, increasing the prestige of the domestic carrier. 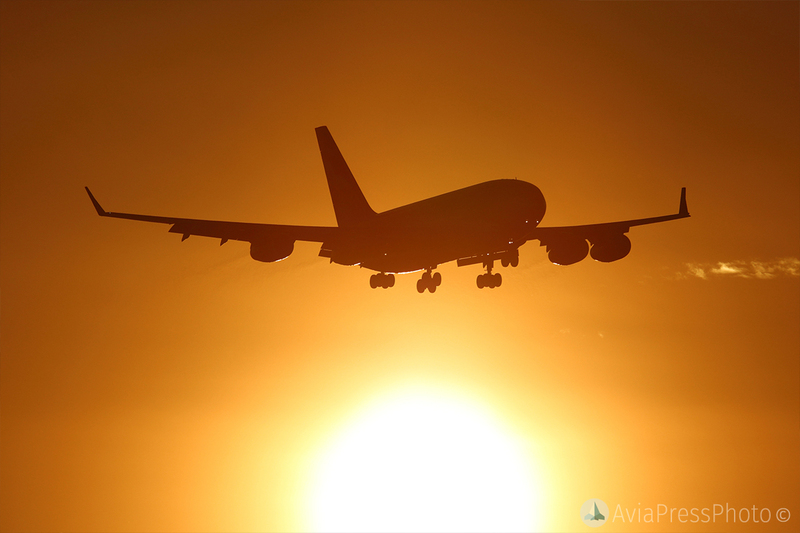 The new liner has established itself as an exceptionally reliable aircraft. 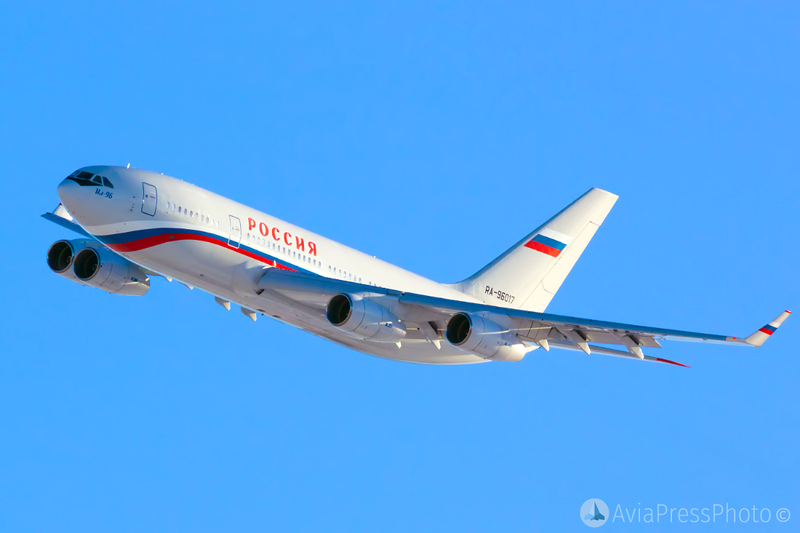 IL-96-300 was chosen as the “board number 1” for the President of the Russian Federation. 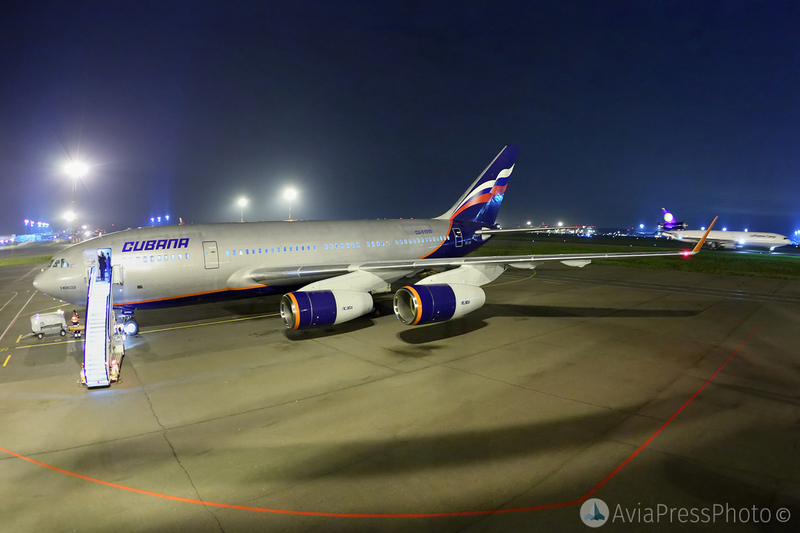 Aircraft for the special flight detachment “Russia” received the designation Il-96-300PU – “control point”. It practically did not have differences in flight characteristics from the base version, except for the increased range. Externally, the aircraft also did not differ from the base version, except for the characteristic “hump” in the upper part of the fuselage. The first airplane of this version was assembled in 1995. IL-96-300 is also used abroad. 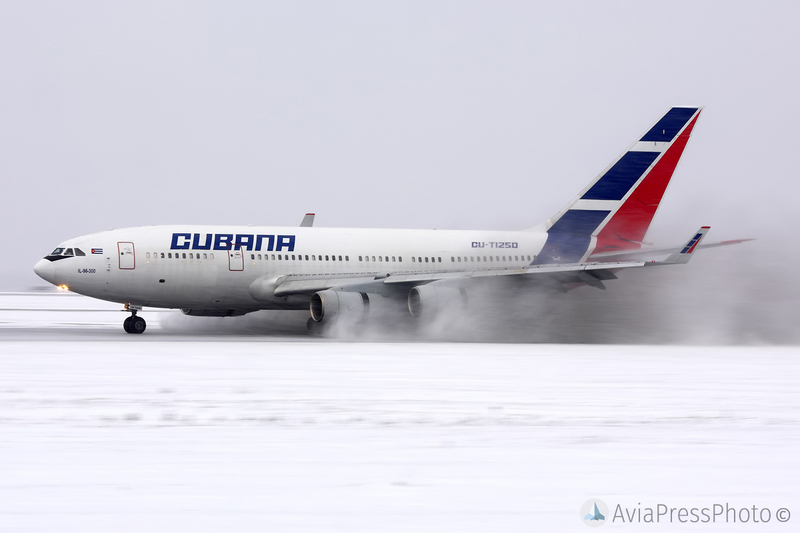 In 2005-2006, three aircraft were transferred to the airline “Cubana de Aviacion”, one of them – for the service of the President of Cuba. The potential inherent in the designers when creating the machine, allowed to create on its basis various modifications. So, in the 90s the design of the Il-96M aircraft was proposed. 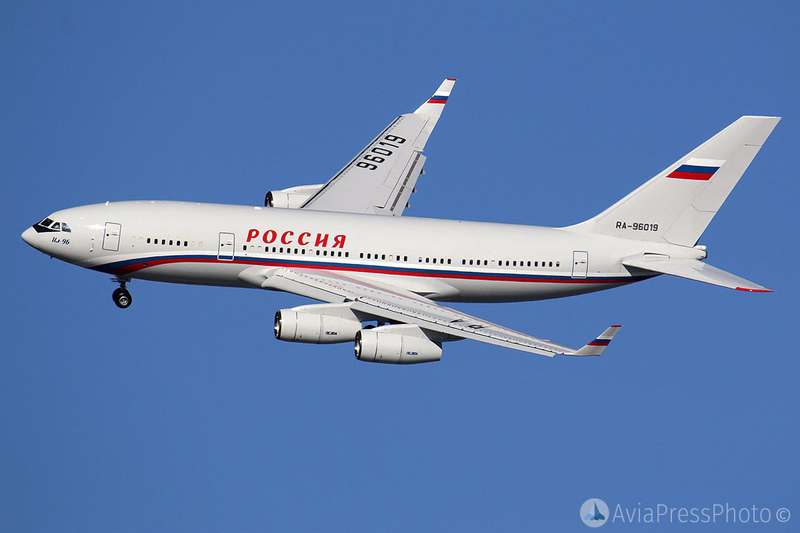 The plane was radically different from Il-96-300. First of all, he received an elongated fuselage, capable of accommodating 435 passengers. Domestic PS-90 engines were replaced by American Pratt & Whitney PW2337 with increased thrust compared to PS-90. On the plane was installed instrumentation of the “Collins” brand. In 1997, the aircraft was certified in the US, however, the series did not go on. Basind on Il-96mM it was created Il-96-400. Changes touched the engines – the car installed Russian PS-90A-1 with increased thrust. 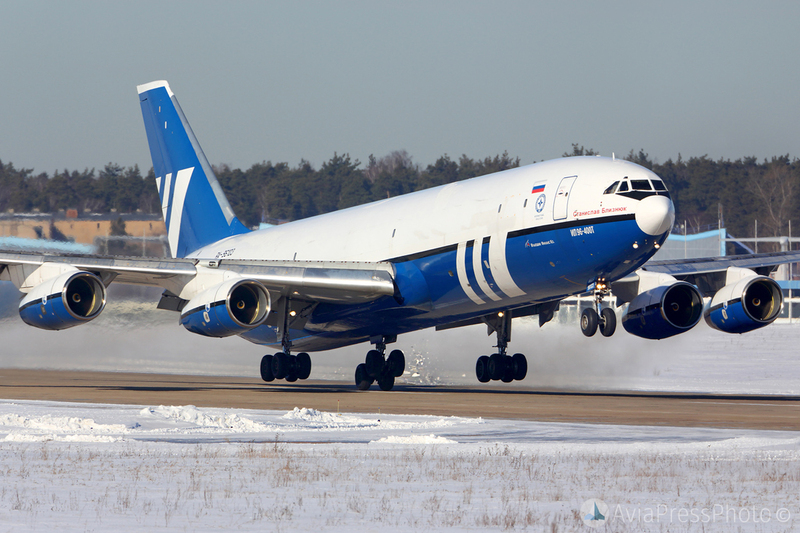 IL-96-400T – is a cargo version of the Il-96-400 model. 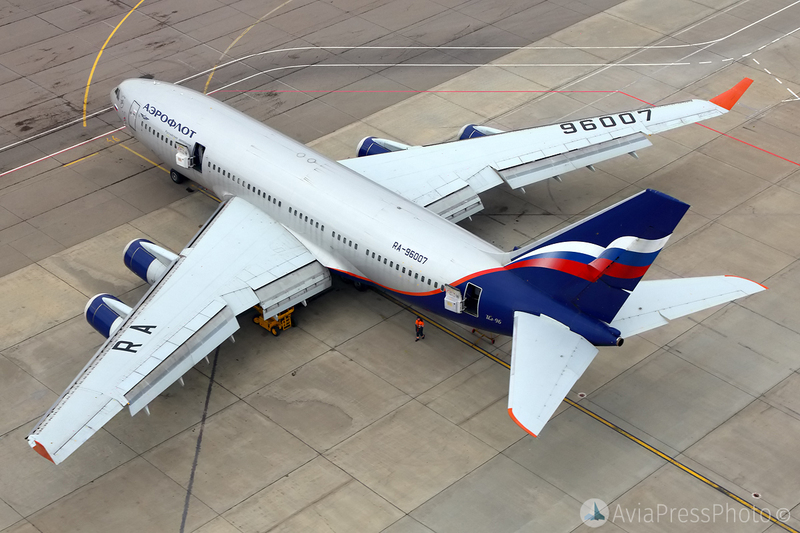 In 2007 two airplanes were transferred to the company “Atlant-Soyuz”, and then, in 2009, they were transferred to the cargo company “Poljot”. 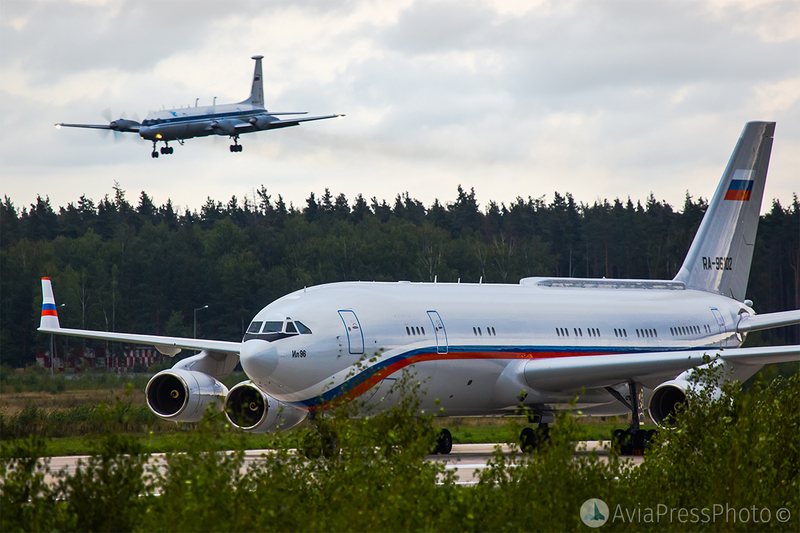 In total, there were 3 IL-96-400T aircraft in service. Unfortunately, IL-96 never became a mass linerThe crisis of 2008 hit hard on Russian airlines, whose fleet consisted mainly of domestic cars. 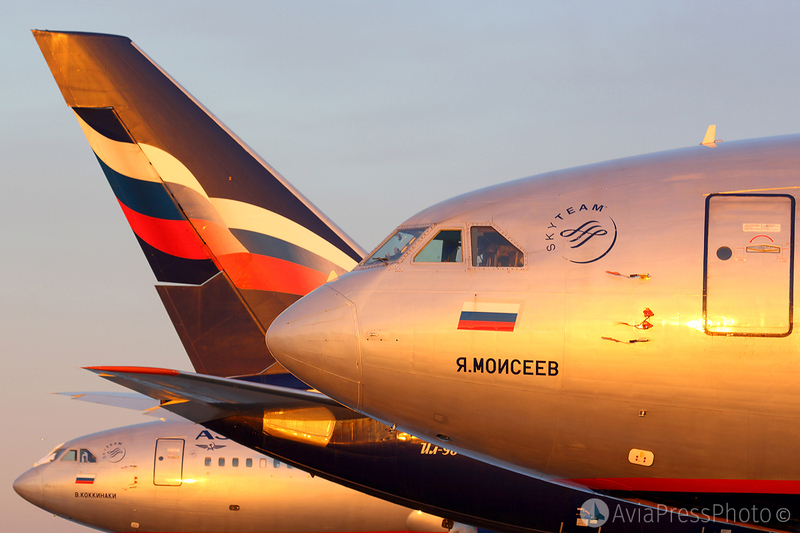 “Domodedovo Airlines” and “KrasAir” ceased to exist. 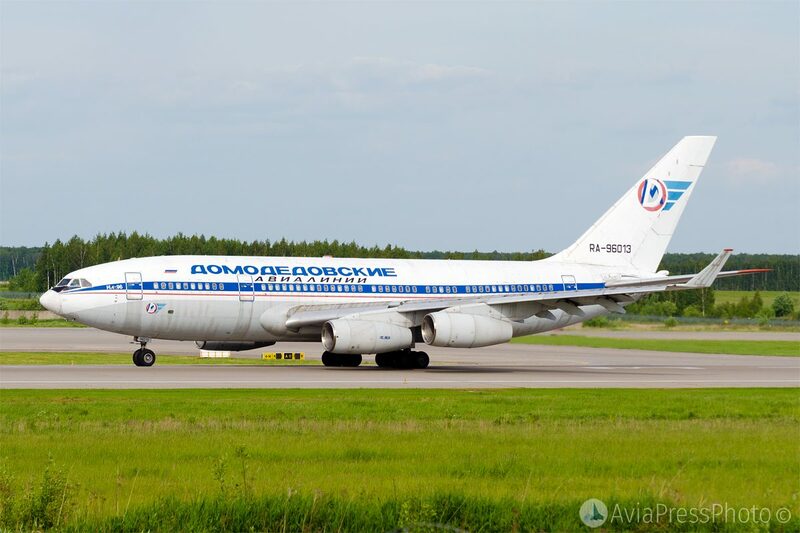 “KrasAir” planes were taken away and transferred to the Special Flight Detachment “Russia” , and the “Domodedovo Airlines” aircraft remained in storage. 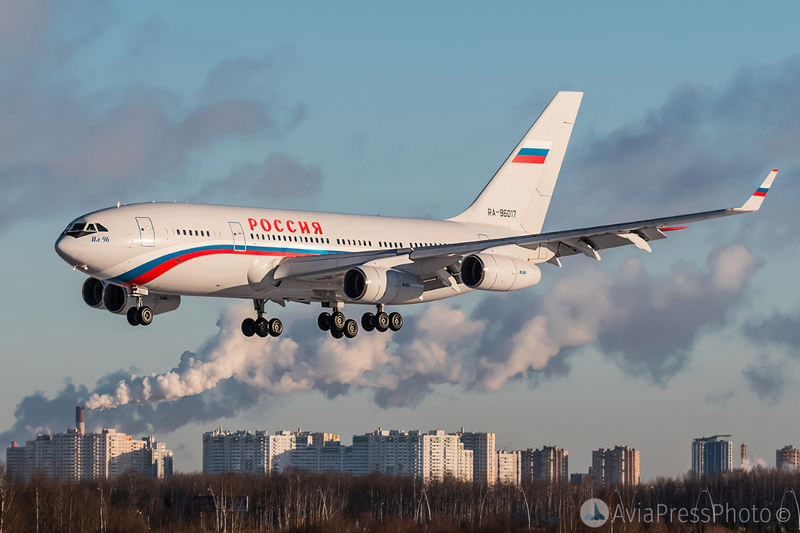 IL-96-400T was in operation until 2013, before the termination of the activities of the company “Poljot”. 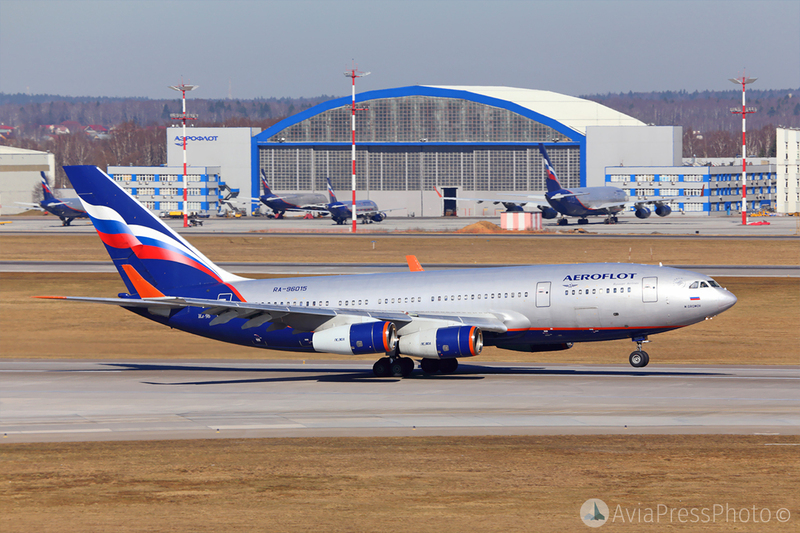 “Aeroflot” completed the operation of IL-96-300 flight Tashkent-Moscow on March 30, 2014. 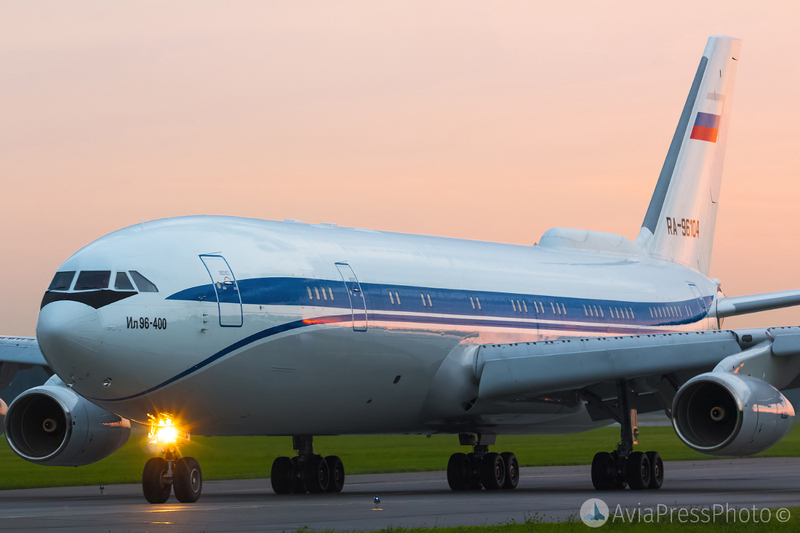 At the moment, the only commercial operator of IL-96 remains the Cubana “Cubana de Aviacion”. 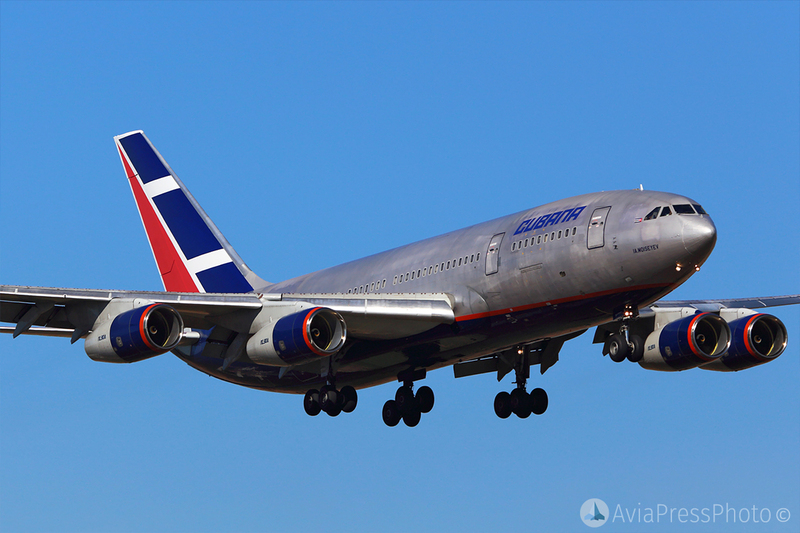 After the release of “Aeroflot” IL-96, several planes were sold to the Cubans. 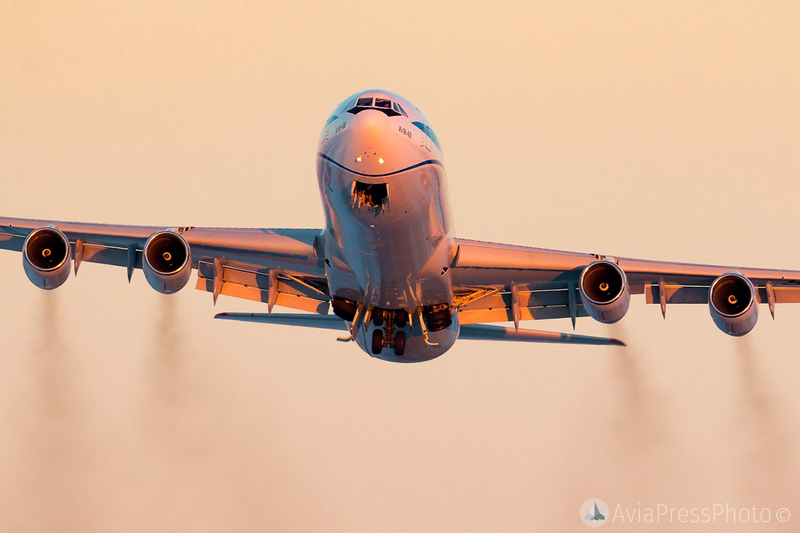 The aircraft perform regular flights to Madrid and Paris. 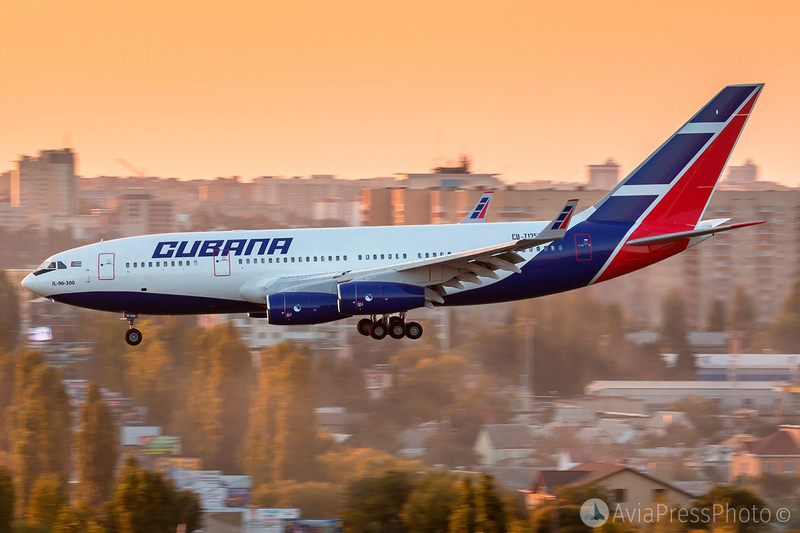 Sometimes liners in the livery “Cubana” can be seen in Moscow, during the official visits of the leaders of Cuba. 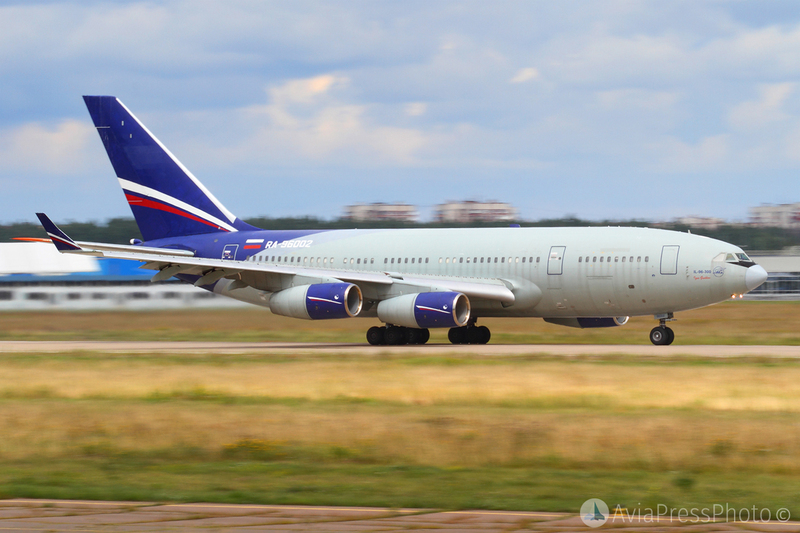 IL-96-400VPU – air command post, was converted from cargo IL-96-400T. 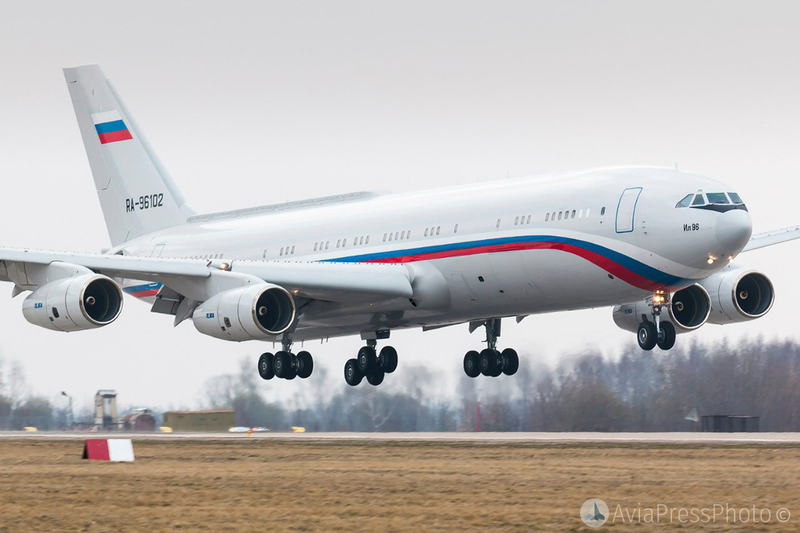 Externally, the IL-96-400VPU is distinguished by the presence of a “hump” with special communication, which is characteristic of the IL-96-300PU. It is also worth noting the presence of a built-in ladder, both on the IL-86. 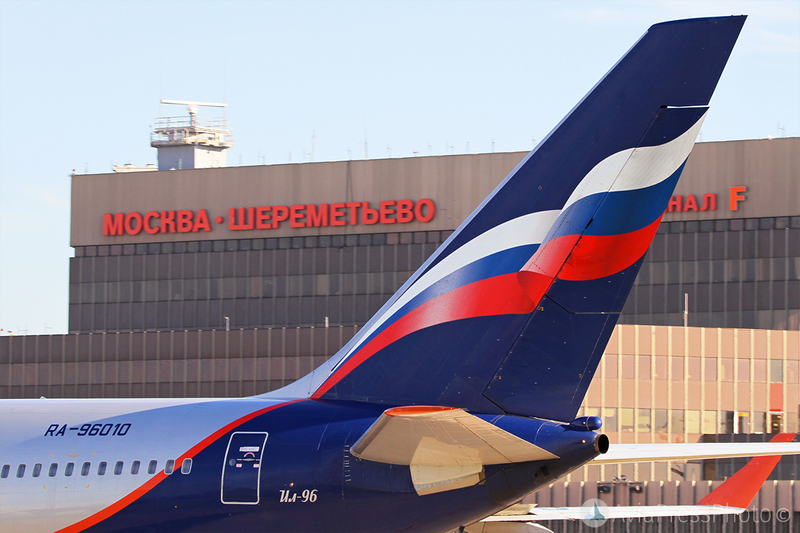 The board performs flights in the interests of the FSB of Russia. 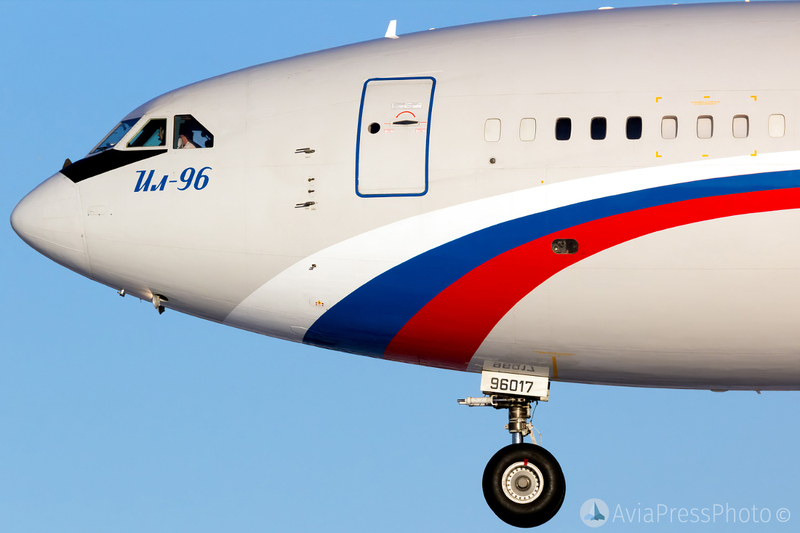 In 2016, I completed the tests and arrived at the Il-96-400 base in the VIP version. 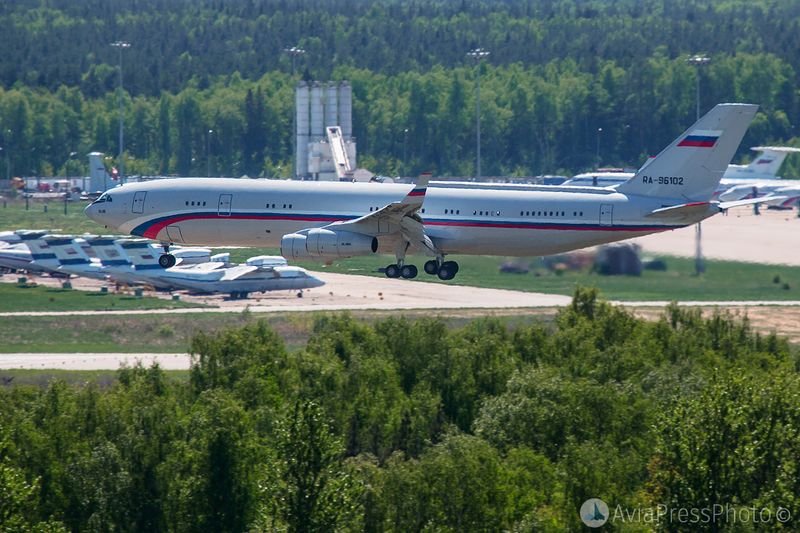 The plane was built by order of the Ministry of Defense. 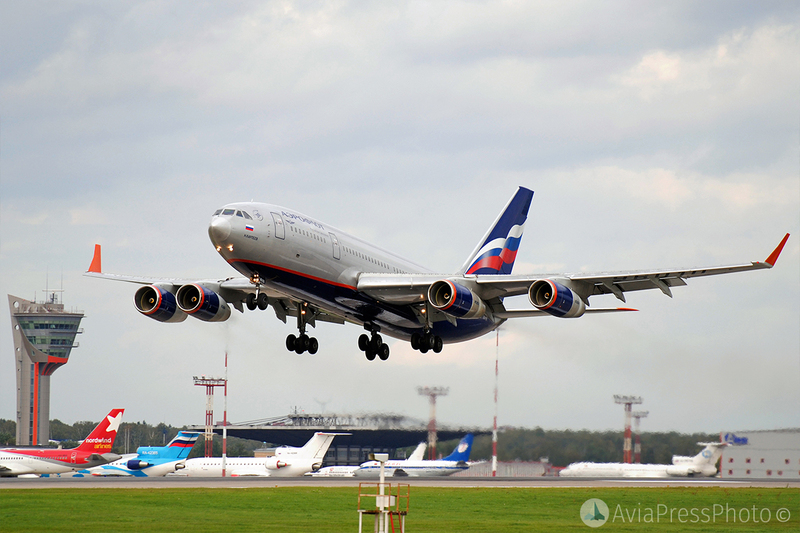 At the moment, the development of a new long version of the aircraft – IL-96-400M, with a capacity of up to 400 passengers.